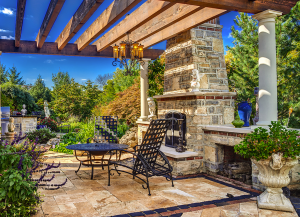 Our creative experts at Hidden Creek Landscaping can bring luxury to any landscape. 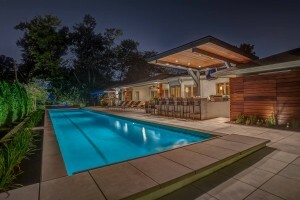 We offer luxury services that can transform your yard into a breathtakingly deluxe five-star resort. Hiring our professionals will enable you to collaborate with us to come up with professional landscaping designs that combine recreation and relaxation. The combination of your ideas and our tips will make the outdoors of your home as alluring and luxurious as the indoors. 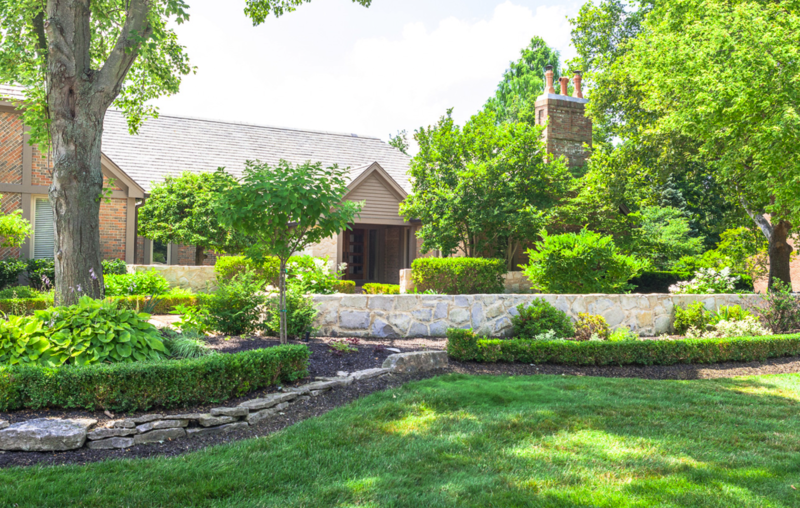 We provide a balance of aesthetics and functionality that allows us to seamlessly integrate each element into your high end landscaping design. In addition, we will use the natural surroundings of your property as a guide for our design as this will enhance the overall look and feel of the space. Your yard will also flawlessly harmonize with the architectural style of your home, making it an enticing destination spot for entertaining members of your household, relatives and friends. Regardless of the variety of high-end features you would like to incorporate into your yard, we will take your wildest visualizations and transform them in remarkable reality. 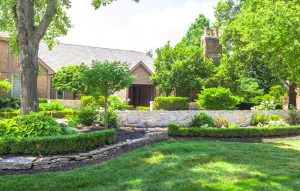 Over the years, we have provided luxurious landscaping design services to our customers. This has substantially helped to increase the property value, while making the spaces a lot more functional and visually appealing. This will make your yard a much more inviting and friendly space. In addition, you will get great use out of the property. Our experts will closely listen to all of your ideas and ensure all your specifications are included. For the active family, we can create a tennis court, swimming pool, basketball court or any other feature that will encourage physical activity. We can also create safe play areas for families with young children. 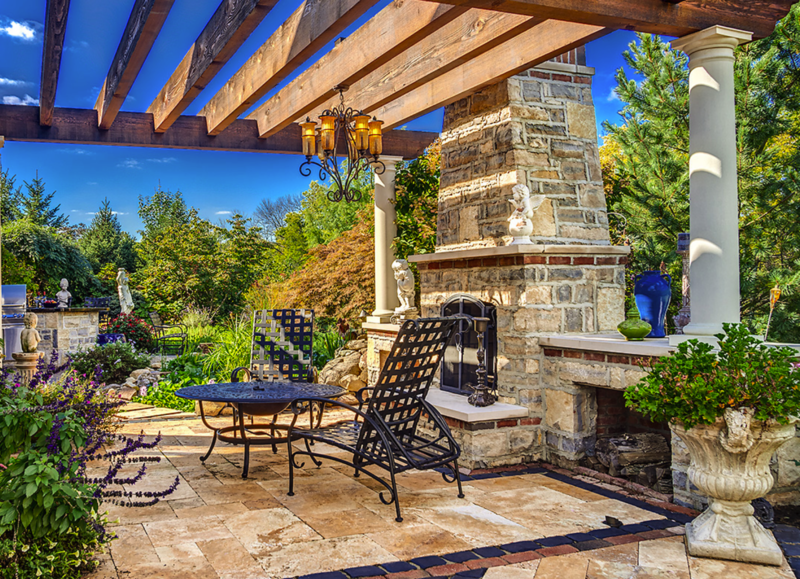 Allow the creative minds at Hidden Creek Landscaping to satisfy all your needs for professional landscaping designs. 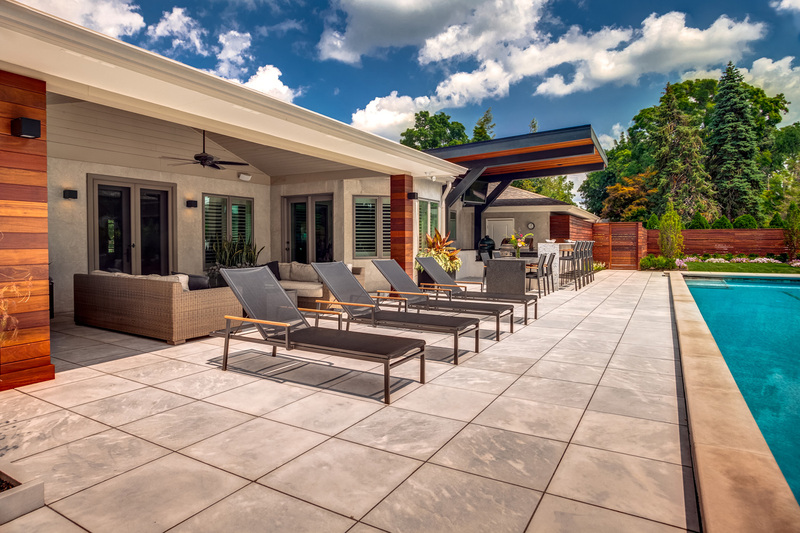 We will create a beautiful backyard oasis that will be the envy of your neighborhood and a space in which loved ones can gather to eat, drink and be merry. Cleaning up is an instrumental aspect of any spring landscaping project. This involves cleaning up the beds, garden and lawn. All leaves, fallen branches and other debris should be removed from the yard. The lawns should be raked, aerated and fertilized. Additionally, blank spots should be filled in to prevent crabgrass. Preparing and Fertilizing Flower Beds. In established flower beds, additional compost should be worked in around the plants for fertilization purposes. For new planting beds, a tiller can be used to break new ground. There is also the option of smothering and killing grass to make a planting bed out of an existing lawn. Raised beds can also be considered. Early spring is ideal for planting shrubs, trees and hardy perennial flower borders. In certain locations, tender perennials and annuals will fare best if planted in late May. Fighting weeds before they emerge is, at times, the best thing to do. Waiting until they rear their unsightly heads could become problematic. Pre-emergent herbicides can be used to control crabgrass and spring is the ideal time for its use. When soil temperature gets to between 55 and 60 degrees Fahrenheit, crabgrass seeds will germinate. Applying the herbicides in the spring prevents that from happening. Prune trees and shrubs to get rid of dead limbs and branches. You could also take the opportunity to prune off live branches to make the plants more aesthetically appealing. Promote health and preserve proper tree form by trimming the trees. Dead or dying branches should be removed. Additionally, crossing branches should be taken down and sprout near or at the bottom of the tree should also be removed. The health of the tree can be damaged by improper trimming; therefore, a licensed arborist should be consulted regarding proper techniques. A 4-inch layer of mulch should be applied over all planting beds. This assists in reducing the quantity of weed that will surface. Emerging weeds can be hand pulled or sprayed with a glyphosate product.